Weekly conversations with customers, partners and others about telco challenges and opportunities of SDN, NFV, analytics, customer care proove that 5G is a lot closer than we had anticipated. There have been significant developments in the nuts and bolts of 5G, which promises high-speed, on-demand data services, intelligent systems, powering more and more connected devices, cars, homes, clouds as well as connecting industries such as e-health and fintech. But what’s less clear is how telcos will implement and manage their 5G infrastructure. For many, there’s already complexity from different systems and services, disparate networks and legacy OSS platforms. Telcos need to start preparing for 5G now by simplifying processes, unifying their infrastructure and retiring legacy systems to create an end to end view of the network and services from a single point, to provide predictive analysis and better customer management. predict service issues. Orchestration automation tools are also important to speed up and simplify planning and deployment of new services, and freeing up IT staff to focus on higher value activities. Orchestration automation creates a more agile environment and helps telcos more quickly react to market challenges expected with 5G – connected cars, Smart City IoT devices and so on – and speed up time to bring new services to market. The key is dynamic delivery of 5G services and management of the network through orchestration, to deliver an enhanced customer experience. 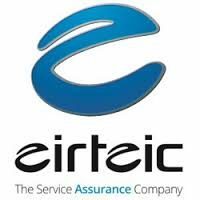 At Eirteic, we’ve recently partnered with Cortex, which provides real-time automation to give companies a distinct competitive advantage. Cortex is already helping organisations like Vodafone shift over 80 per cent of their team to customer facing roles and realising triple revenue; and Thomson Reuters saving hundreds of millions of dollars per year in real cost.